U.S. approves ferry service from Florida to Cuba. 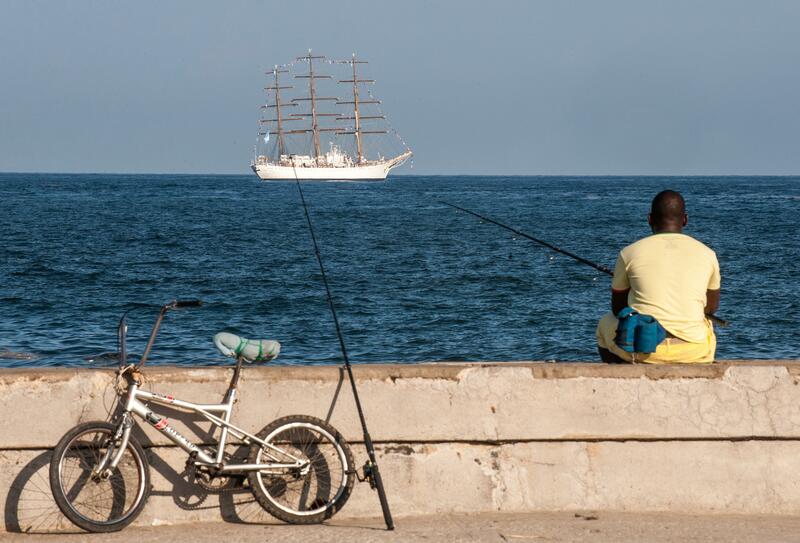 A Cuban fisherman watches as a training sailing ship enters the port of Havana in July 2014. Despite the occasional quarrel, the U.S.-Cuba détente is picking up steam, and on Tuesday the Obama administration approved a ferry service between the two countries. The Treasury Department signed off on multiple bids to provide a ferry service between Florida and Cuba for the first time since the early 1960s, when the U.S. imposed a trade embargo on the Castro regime following Fidel Castro’s rise to power during the Cuban Revolution. The ferry routes could open up trade and travel, however Americans are still barred from traveling to Cuba for tourism under the terms of the decades-old trade embargo that needs Congressional approval to be removed. Cuba must also approve the ferry operation. Fares for the 90-mile journey are still yet to be determined, but one ferry operator told the Sun-Sentinel the aim was to charge passengers somewhere between $300 and $350 roundtrip, slightly less than the $400 or $500 it costs for a charter flight ticket to Cuba.